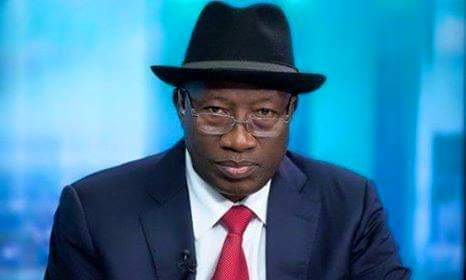 Dr. Goodluck Ebere Jonathan has said that people from Bayelsa state his home state, should die working for the Atiku Abubarkar, the Presidential Candidate of the Peoples Democratic Party. Jonathan, said this at the PDP presidential campaign rally in Oxbow Lake Pavilion, Yenagoa, Bayelsa State, and described Atiku as a friend of Bayelsa. He said the late former Governor of the state and his former boss, Chief Diepreye Alamieyesigha would have also recognised him as a friend of Bayelsa if he was alive. He said: “My message is clear, in politics; you must have your people in mind. Political office is what is used to better the lives of the people, not for punishing people. “I can say categorically that Atiku Abubakar has been a friend of Bayelsa. Atiku recognises us and if DSP Alamieyeseigha was alive, you would have heard him clearly say that. “Atiku appreciates and loves the Ijaw people. He is the kind of person that we Bayelsans must die to work for. He is the kind of person that will help us. He will bring the whole Nigeria together. “He is the kind of person that can look around and say one of your sons can be the Chief of Army Staff, DG DSS or IGP. He is the kind of person that will say your son or daughter can be Chief of Defence Staff or minister of Defence because he has confidence in us just like we have confidence in him. “Our eyes must be open. Let’s not play the politics of the stomach. We have looked at all the candidates. All of them are good, but Atiku is the best. He sees the whole Nigeria as his own constituency and he will improve the quality of our lives”. Addressing the crowd that came to receive him, Atiku accused the ruling All Progressives Congress (APC) of failing to fulfill all their campaign promises. Atiku insisted that the APC failed to realise their promises on the economy, security and fight against corruption. 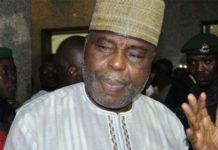 Quoting the Amnesty International, the PDP Presidential candidate said the country is more corrupt now than when the APC took over the mantle of leadership from his party. He said: “We thank you all the people of Bayelsa for being loyal to PDP, for being loyal to Nigeria because this election that is coming is about the future of our county. “It is about the future of our youths and our women. Since APC came to power, they promised three things. They promised to repair the economy, to make it better than what they took from PDP but they have made it worst. “They said they came to fight corruption, today, Transparency International say, we are more corrupt than when PDP was in power. They said they came to secure Nigeria but today there is insecurity in the North East, North Central and North West. I appeal to you to continue voting for PDP”. In his remarks, the host Governor, Seriake Dickson, urged the people to vote Atiku describing him as a Nigerian with the desired understanding to restructure the country. Dickson said that Atiku had good understanding of the problems of the people and should be trusted with the people’s votes. The governor, who said that Atiku would be sworn in come May 29, 2019 described Bayelsa as the headquarters of the PDP in Nigeria. He alleged that while the PDP was intensifying campaigns in Bayelsa, the APC was devoting its attention and resources to the procurement of illegal arms.